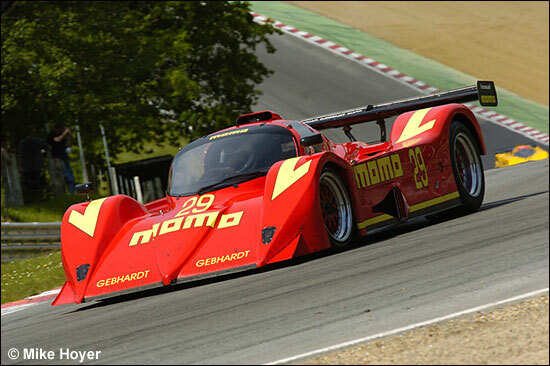 There was a fairly major sportscar event going on elsewhere in Europe last weekend, so you didn’t have to travel all the way to Le Mans to see sports prototypes in action. 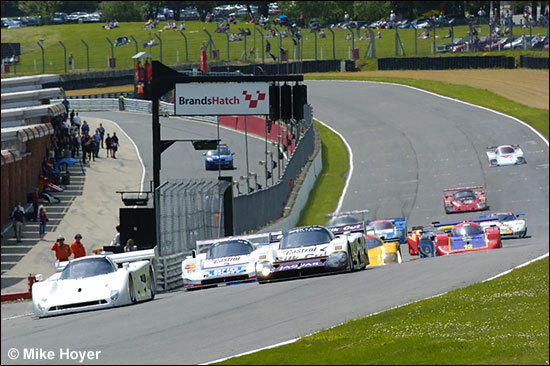 The Historic Sports Car Club made its annual visit to the Brands Hatch Grand Prix Circuit on June 3-4, with races for various classes of historic cars, from ‘60s sportscars, to historic Formula 1 and Formula 5000 cars. 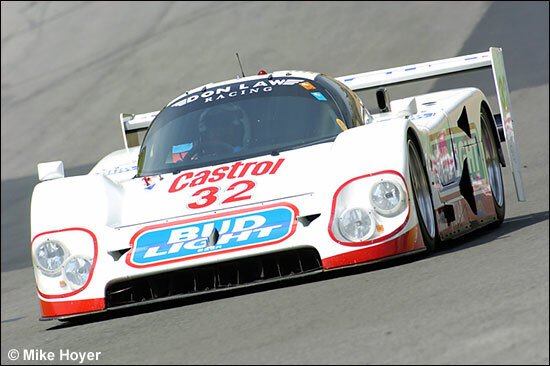 The highlights of the weekend though, for sportscar fans, were the two 30-minute races for the Group C and GTP cars, notable cars being Justin Law’s Jaguar XJR12, and the Porsche 962 of Mark Sumpter. 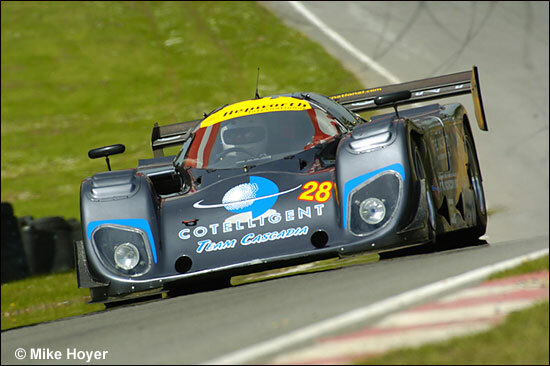 Other well-known names made an appearance as well, with Ian Stinton driving a Spice SE86 DFZ. 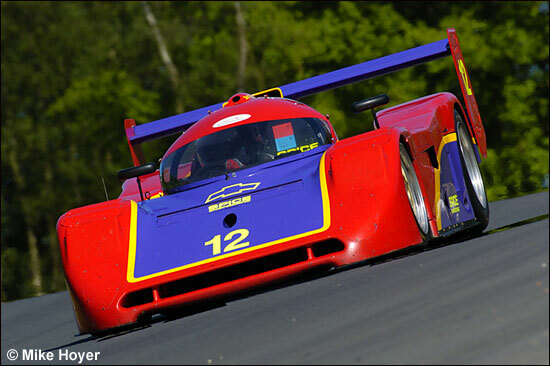 It was David Mercer in the Spice SE90C who took pole position in the 25-minute session, with a lap time of 1:20.051. 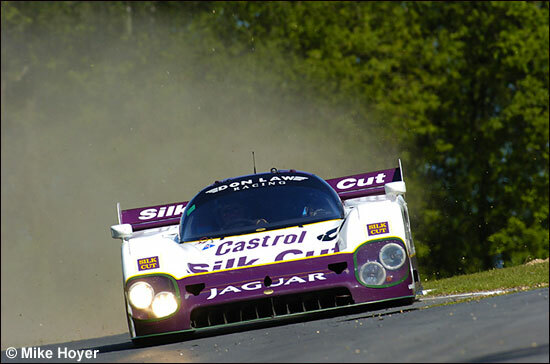 Justin Law was right behind him in the distinctive Silk Cut-liveried XJR12, just over half a second slower. 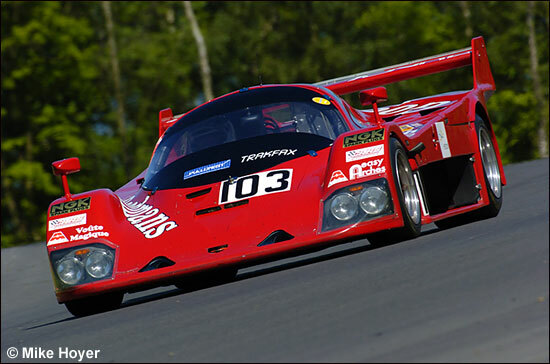 Third spot was taken by Richard Eyre’s Jaguar XJR16, nearly 3 seconds back. 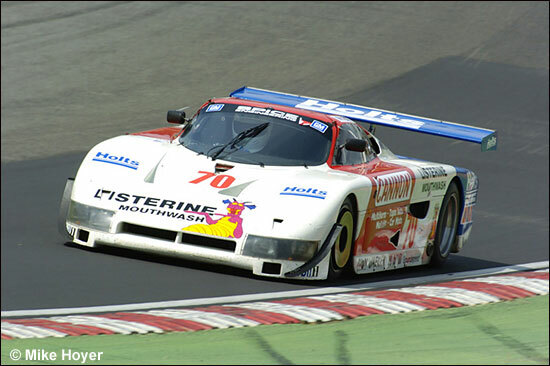 Mark Sumpter was fourth on the grid in the distinctive Art Sports Porsche 962. The races were each over a 30 minute duration, and they were treated as flat out sprints! In the first, Law made a good start to go into the lead on lap 1, and maintained it for several laps. Mercer was never much more than a second behind though, and pushed him all the way, with Law finally succumbing to the pressure, and sliding wide at Westfield corner on lap 15. This allowed the Spice through into the lead, and Mercer romped home to finish nearly three seconds ahead of Law. 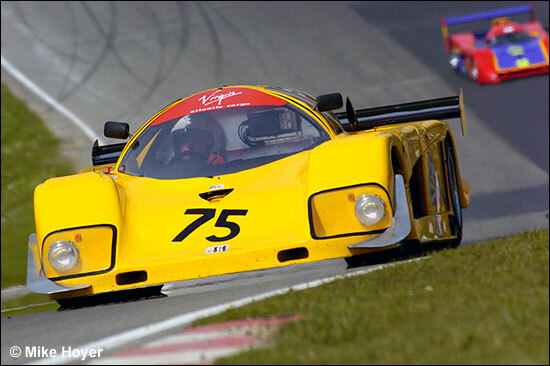 Richard Eyre took third in the XJR16, with the Porsche 962 fourth. 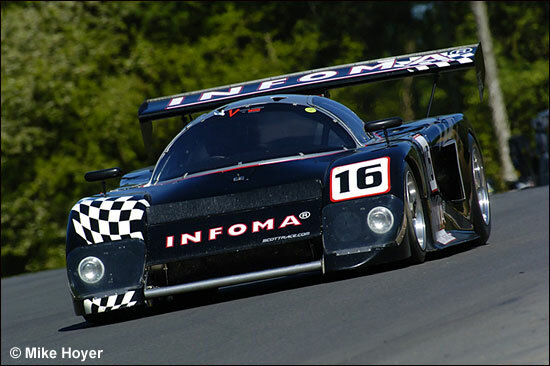 Gary Pearson was fifth in the ADA Cosworth, with Jim Mullen rounding out the top six in his Spice GTP, a lap adrift. 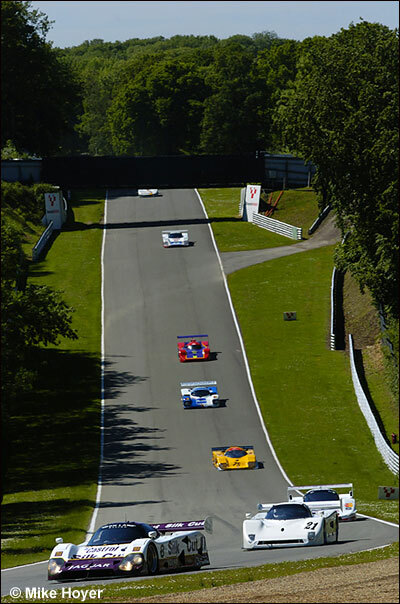 The second race, held on Sunday afternoon, saw the grid line up according to the finishing positions of race 1. Once again it was the Jaguar versus the Spice at the front of the field, this time with Mercer leading the majority of the race, and although Law got close at times he was never able to seriously challenge for the lead. 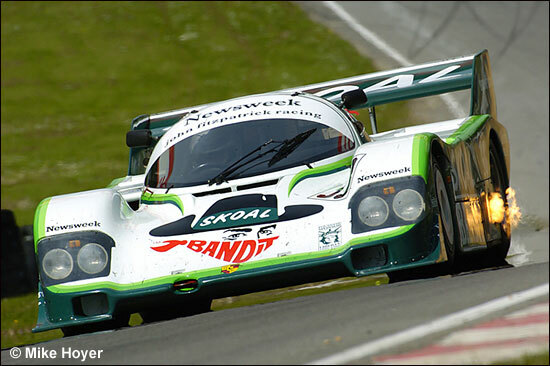 It finished Spice, Jaguar, and Porsche 962 third, when Richard Eyre retired the XJR16 after 8 laps. 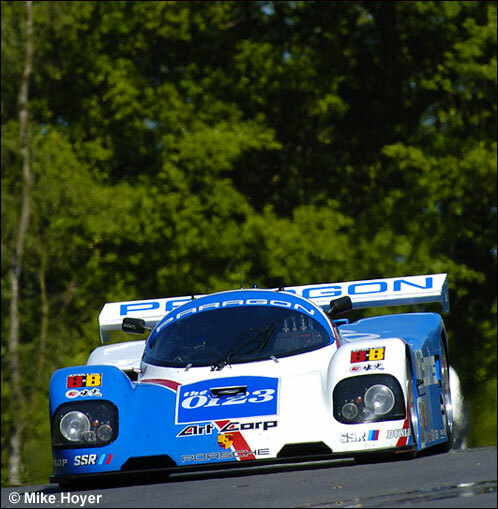 Gary Pearson was fourth in the ADA Cosworth, Jim Mullen was fifth in Spice GTP, and Nick Rini was sixth in his Jaguar XJR12D. Here are several of the other entries, beginning with the unique Bardon.